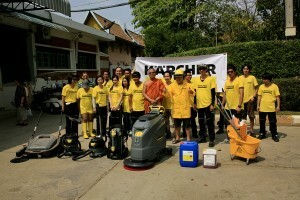 Both thumbs up for #KÄRCHER Thailand, their country manager and the entire KÄRCHER Team for their help on our first day of the Cleaning Festival. Nothing too dirty for the team and their machines! 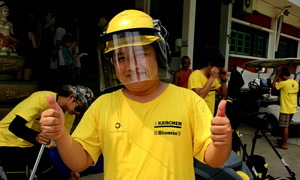 But also thumbs up for our kids in the orphanage, who really done a great job and teamwork! A big step in the right direction! ← Next post What comes after the Cleaning Festival?